First off I'd like to start by asking; is this a party or a takeover?! I have no idea. Anyways, the Frozen party seems pretty simple. 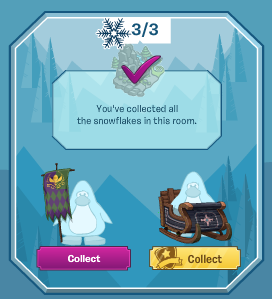 You collect the snowflakes, retrieve your items and--BOOM, you're done. 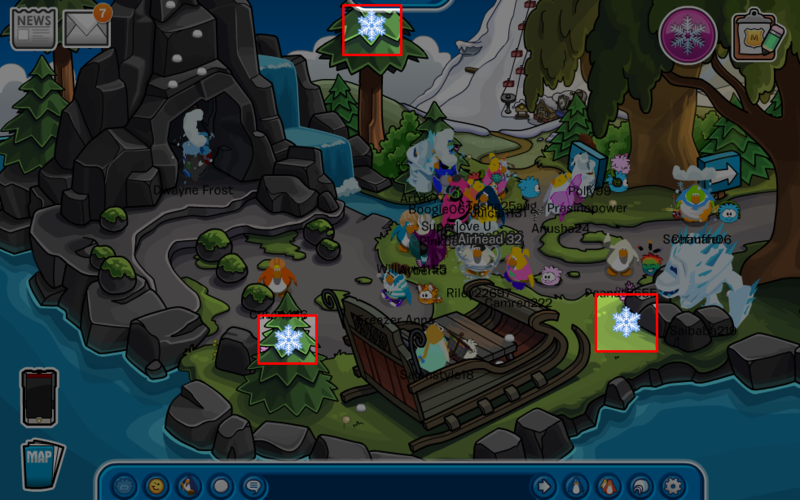 First Step: Click on the purple snowflake button at the top right of your screen. 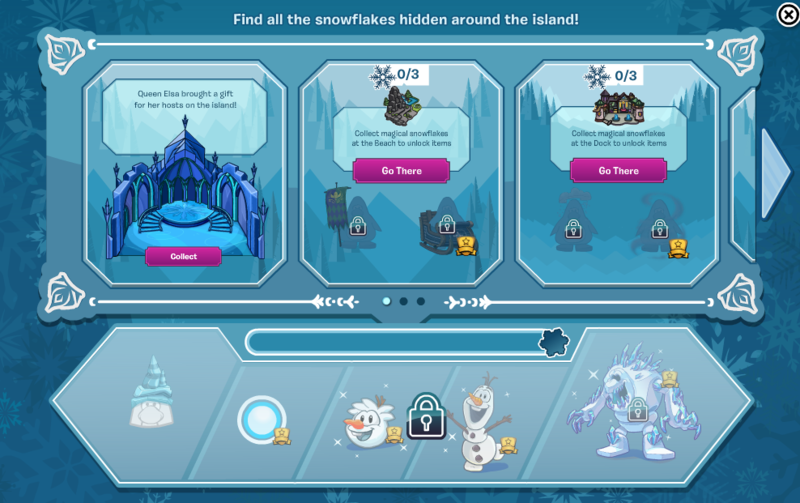 Second Step: Choose which room you would like to find the hidden snowflakes in. 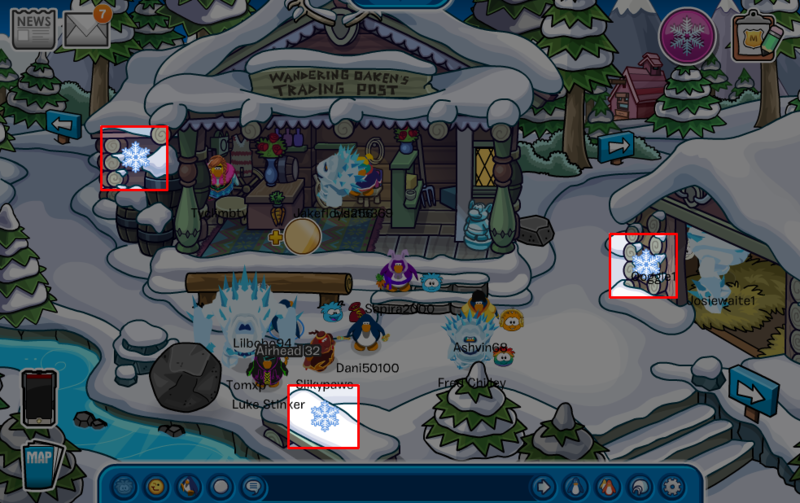 - Each time you find all the snowflakes in a room you will unlock two items. One item is only for members. 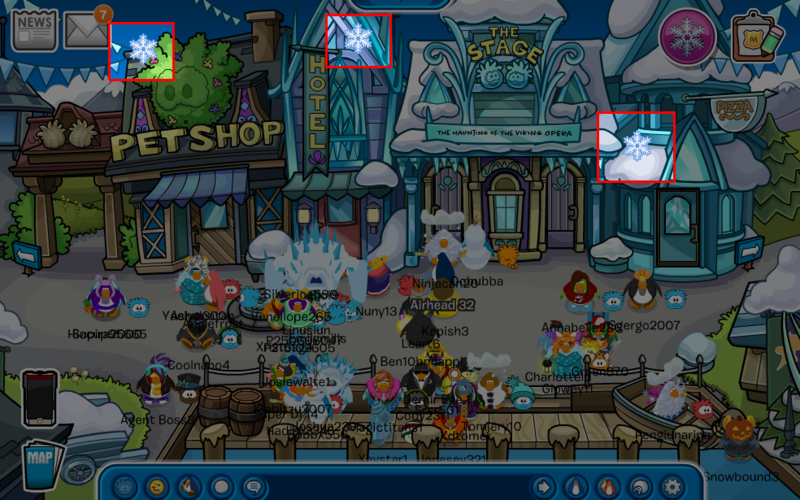 - This bottom bar will also increase as you find snowflakes. 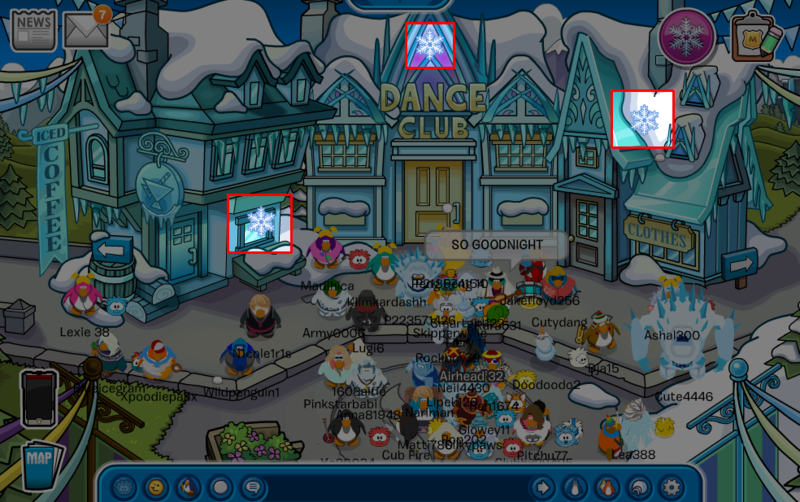 Don't worry if you're having trouble finding the snowflakes in each room. I've found them all and I am going to show you the locations. By this time, the bottom bar should have increased to the maximum. 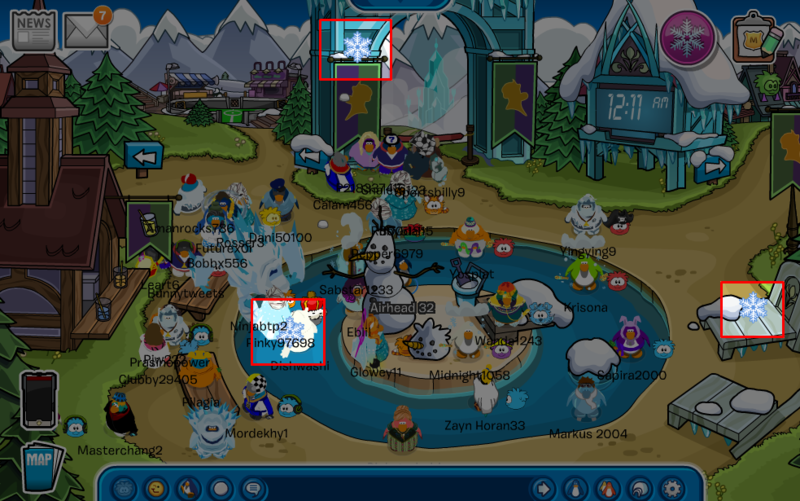 You will now be able to collect one free item (if you're a non-member). 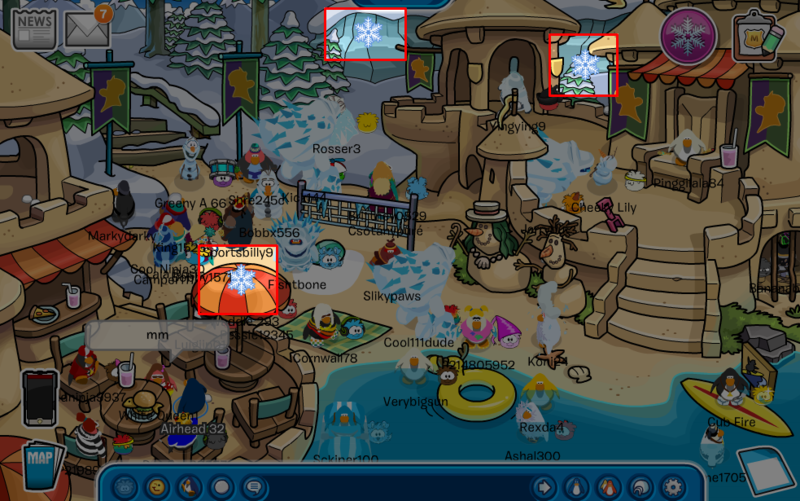 If you're a member you can collect three free items and you can transform into the snow monster or Olaf! 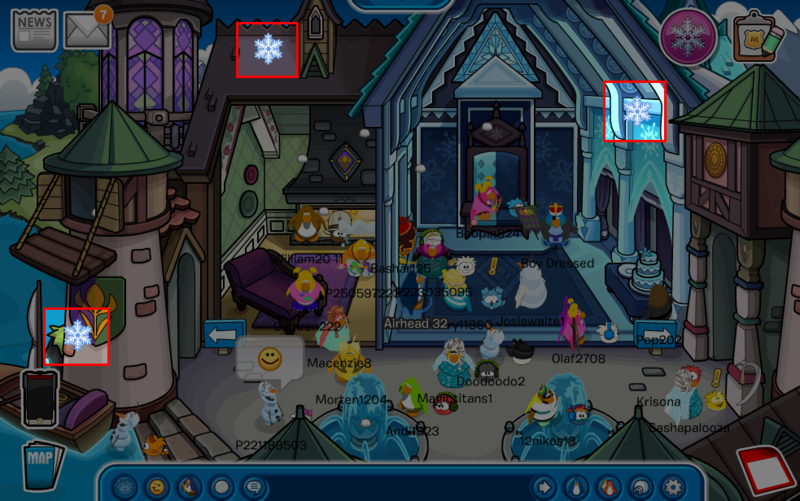 You may have noticed that some buildings on the island are frozen solid! 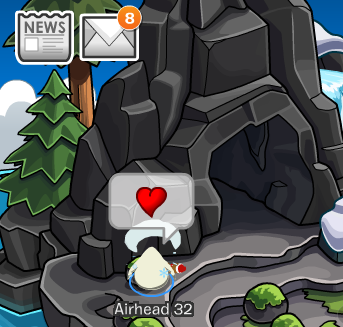 Well, you can easily unfreeze those by using the heart emoji and touching the buildings. I guess I don't understand! If they have already celebrated the party once, what's the need to celebrate it again! i'm pretty very sure everyone experienced the party the first time! And if they didn't that's just not our fault?! Why should we suffer?! Oh god! And even the collectible items are same, they should have at least changed them!! I agree that putting up the same exact party twice isn't fun at all. This post was one I wrote last year for the Frozen Party in 2014....I just changed the title because there's no point writing a guide for a party I already wrote one for.